Fits every round aluminum or carbon speargun! Stainless steel screws for mounting 2 piece barrel attachment to barrel. 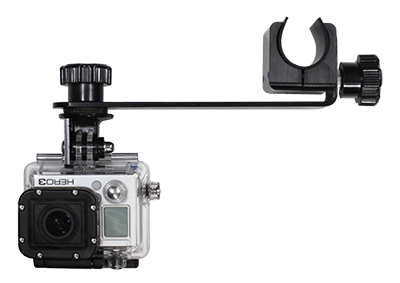 Camera arm can be removed and re-installed in seconds to make videoing or photographing your buddy fast, easy and SAFE!!! 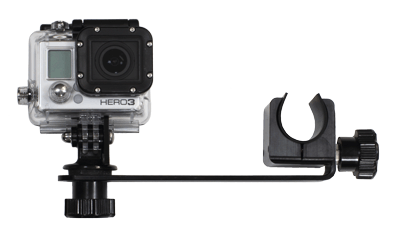 Shoot video or take photos of targeted species while in speargun mount mode and also video or photograph non targeted species as well as dive buddies safely and easily in hand held mode. The camera can be mounted upside down under the arm. 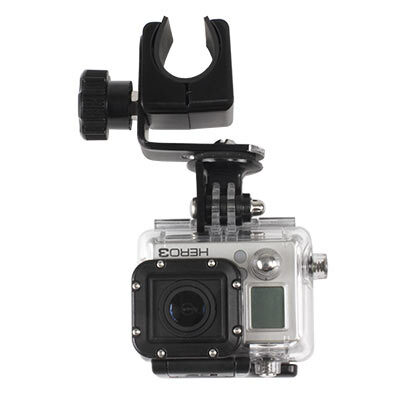 One reason we really like the GoPro camera is that if you choose this option, the camera will be upside down, but the video can be internally flipped over in the GoPro by setting the image capture setting to 'Camera Upside Down' and your video playback won't be upside down! 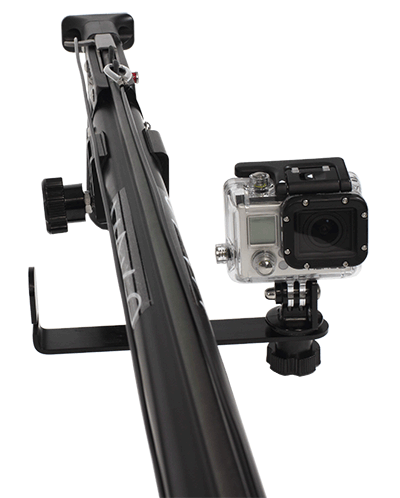 “Side Mount Camera Arm” mounts the camera to the right side or left side of speargun barrel. Camera to the right or left of the speargun barrel offers almost no visual interference for the shooter. Does not interfere with loading process. The camera can be forward facing or rear facing to capture multiple perspectives for creative video editing. Does not interfere with shooting line. 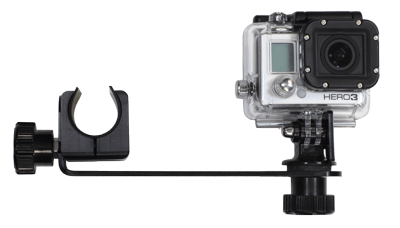 Works great with Go Pro cameras and many other cameras with standard tripod mounts. Solid mount. Works great on my 120cm Rob Allen. Just as advertised. Fits my guns fine. My next trip is in March, I expect it to work just fine. Only thing was shipping seemed a little high, but I did receive the item within 3 days.